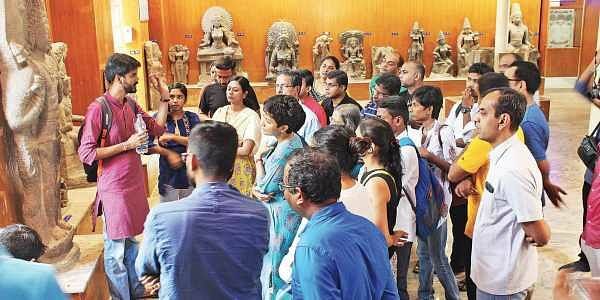 CHENNAI:Lining the walls of high rise buildings at Government Museum, Egmore, were sculptures that looked faintly familiar to some of us. We had visited the museum during a college trip or family tour; and soon realised we barely knew the history behind the icons and inscriptions. We were 35 history enthusiasts, young and old, who had assembled at the entrance of the museum, recently, for a guided heritage walk. It was curated by organisations Sahapedia and Prastara. Jayakumar S, founder, managing trustee, Prastara, was our guide. And this was starkly different from the next set of granite structures from the early Chola period (850-1100 AD). Shiva, similar to certain depictions of Rama, had a bow and arrow, and highly stylised ornaments. “Our earliest temple structures are from this period. And it only transitions to more stylisations and intricate carvings in the following eras,” said Jayakumar. He walked us through later Chola period, Vijayanagara period, and modern era — from 1600 AD to present day. The relevance of every intricacy in the structures was symbolically explained. And certain unusual depictions, like Muruga and Shiva sitting on an elephant, was even traced back to famous Thiruppugazh songs. One of the most striking sections was that of Naga structures, which Jayakumar said, was closely associated with South Indian gods and worship. “The intertwined snakes, commonly found under arasa maram (Peepal tree) in towns and villages, were made by extremely skilled craftsmen. It’s very hard to tell where the snakes begin and end,” he explained, referring to one of the icons. The walk was not structured chronologically. Amaravati art and sculptures, influenced by Buddhism in the region, was traced to over 600 years before Chola period. And striking mandalas or medallions were characteristic of art in these times. Jayakumar insisted that art practices must be traced to a sculptor’s craftsmanship, and not to a period’s ‘style’. “The sculpture is offered to a king as patronage, but the style is influenced by a period’s landscape and political reality,” shared Jayakumar, adding that not all architecture schools teach this right, and a Pallava or Chola period is simply a classification of time. He believes that only a comprehensive understanding, that lets us connect literature, art, music, and social landscapes of a period, is meaningful. 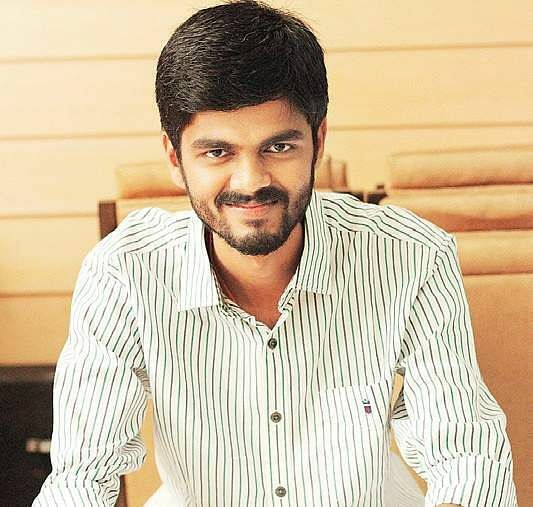 “I come from Thiruvengadu, and neither me, nor my parents knew of the richness of its heritage until my recent interest in researching heritage. This is why such walks need to be taken to children, to make history both fun and relevant,” he shared.